Made from wool sourced from Abraham Moons, the renowned Yorkshire mill, this fine herringbone jacket can be dressed down, with a polo neck, or up with a smart shirt and waistcoat. Jacket: Tailored fit. Two button. Single breasted. Four interior pockets. Four button cuff. Side vents. Angled pockets. Fully lined.Dry clean only. Excellent quality and fit. Prompt delivery. Very pleased. All round excellence as usual. Ordering and delivery excellent as usual. The jacket I ordered (Grey Coverack) is perfect. I took a bit of a chance with the sizing. It is only available as "tailored" whereas I find the classic size exactly right. The tailored fit however is also perfect and fits very well, being only a touch narrower round the upper waist area. Brook Taverner as a company is a class act. I can't fault Brooke Tavener. Their products are good quality as you would expect and excellent value for money particularly with the offer codes that are displayed! The website is easy to use, delivery is good. Overall the company provides great value and well designed products. The quality of the products are better than expected. Service is very good, and yes I would recommend. The ordering on line was extremely easy, the item came as requested and I would recommend this company to anyone . This is my first transaction with Brook Taverner for many years. It's a good company with a long tradition of service a that clearly has not slipped with the move to being substantially online. I bought several items. All of which were of good quality. Some didn't fit because I had ordered too big (weight loss! I had ordered and was promptly delivered a Harris Tweed jacket, which unfortunately turned out to be too large and chunky. 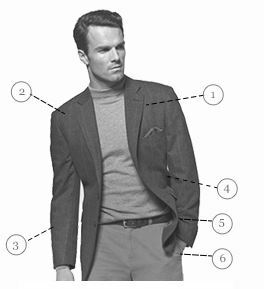 After discussion with a very helpful advisor on the phone, she gave me good advice on the sizing of an alternative, lighter Coverack wool jacket that I had originally preferred. Hence, I returned the original jacket by post on the Friday with the request for a replacement Coverack jacket. While the return form advised that replacement could take around 2 weeks, imagine my delight when it arrived only 2 working days later on the following Tuesday. Moreover, the jacket, style and fit is perfect and just what I wanted. Further, the price difference had already been refunded to my credit card. As I was a already satisfied returning customer to Brook Tavener, I am now even more convinced than ever about your combinatoin of quality, service and value for money. Keep up the good work! Excellent service and excellent quality product for an outstanding price! I highly recommend Brook Taverner! Arrived on time, securely packaged. Excellent product and service. Highly recommended. I exchanged a jacket which I had ordered in the wrong size. Everyone was very helpful and the exchange complteted promptly and the new one fits fine. The service including telephone contact was excellent, and the products are very good indeed. The only negative is that, when I made the first call, you were obviously very busy. The lady to whom I spoke said she would call back. She did not. The quality and service is second to none. The clothes are not only stylish but the quality is excellent. I wIll definitely order again from them again. Fantastic fast delivery of an excellent product! I said it all above! 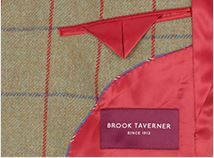 2nd time we've ordered from Brook Taverner. Excellent, swift service as per usual. Would definitely recommend them. Well made clothes,and a helpful knowledgeable staff on the telephone. 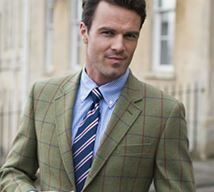 Brook Taverner have a wide selection of well made clothes at what I consider to be reasonable cost. My only wish is that they made more of their jackets up to size 54 to give a wider choice to us older and stockier people. Excellent Service and quality of products. Good quality products, great prices, easy to order, good communication, quick delivery - what else do you want? Will recommend to others and will definitely buy from them again. From the exceptional packaging to the quality and fit of the garments, I rate my order as excellent and such good value for money. Relatives and friends were impressed and said so!! Returned a jacket under the no quibble guarantee (good cut and quality of fabric - just that the colour wasn't quite what I expected). My account was credited within two working days. Excellent service - and I didn't even end up by anything (this time - will certainly consider BT again). The jacket purchased was the perfect fit and of superior quality. Arrived promptly. No hesitation in recommending the shopping experience at Brook Taverner. I decided to try these guys with a jacket purchase. The web site experience was ok, not that different to others. The difference came in the quality of the packaging and the generous and easy returns policy. It's free of charge from a post office or even from a location of your choice. I had ordered the wrong size and the right size was with me the next day. i have dealt with Brook Tavener on a number of ocasions and their produce have always been excellent quality and represent good value. Very pleased with my choices and took advantage of the offers. It made things so much easier to know my size exactly. I paid and ordered two things and happily kept both. I ordered a jacket on the web site from France. Unfortunately the item was too big. The client service quickly exchanged for the right size for free. The quality of the jacket is very high, exactly as described on the site. I'll definitely use this service again. The Coverack grey jacket is as I had expected, well presented, well made, good fit and good value. Many Thanks for the jackets and trousers purchased recently. All quality garments and arrived safely and well packaged. Very good service. The order arrived well packed within 2 days fully as expected. Right first time, no complaints so would fully recommend. I was kept informed of the progress of my order,delivery was very prompt and the goods were exactly as described.Overall a very good service. A great looking jacket caught my eye in a magazine. I ordered and it arrived the next day. The packaging was excellent, delivery superb and the jecket quality and fit was excellent. I am delighted with the purchase and yes i would use again and can recommend to others. As always they deliver on time, the packaging is always perfect, extras like hangers and jacket covers are always included. I love dealing with them and they have wonderful clothes and great sales bargains too! Highly recommend Brook Taverner. Packaging and Delivery excellent. Will be buying more quality clothes from you. This was my first purchase through Brook Taverner and I thought it was excellent. The speed, efficiency, genuine customer focus and ease made it a first class purchase experience. I returned 2 of the items without fuss, got a quick refund and it was all done & dusted. Well done to them and I'd say you can buy with confidence. This is the second purchase I have made from the company,via the internet,and I cannot fault the service that I have received.The product is first class,the dispatch time extremely fast,and I am more that satisfied with my transactions. Good quality product delivered promptly @ 50% discount value for money! This was my first experience of purchasing from Brook Taverner and it weill not be the last. The woolen jacket I purchased was good quality cloth extremely well made (compares with my tailor of 25 years in Bangkok!) and was promptly delivered. I am very pleased with my first dealing with Brook taverner, Thanks. It was amazing how quick I got the jacket through the post! Perfect fit as if made to measure. Can't praise them enough. An excellent service and products. I would not hesitate to buy from them again. Keep up the good work! Quality products augmented by good service. Ordering is simple and straightforward. Delivery is quick and items are well packaged. Quality of my purchases has been excellent. Very good jacket. A pity that other jackets in the range do not seem to have 48S as a stock line. 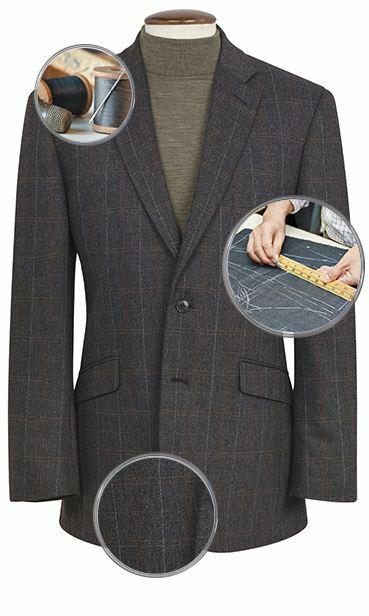 A well made smart jacket. I have always had difficulty getting clothes that fit, being 6 foot 4. The long fit is perfect for me. I wish your trousers would come finished with 36" legs. 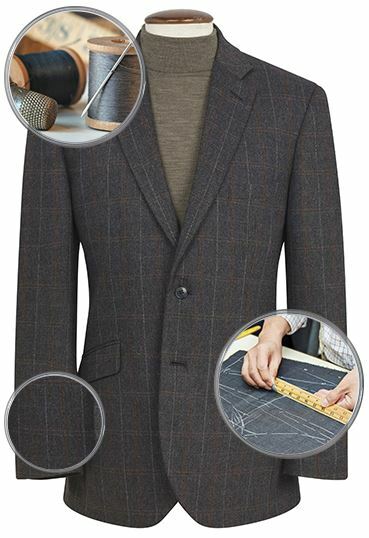 An excellent quality well fitting jacket.Cannot find any fault with this jacket or with the service of Brook Taverner staff. A very good fit and excellent quality - I am very pleased. Straight out of the packaging and worn. Brilliant. Just what I had been looking for. Perfect fit despite my shape. Beautifully soft lambswool fabric. Quite exceptional. Thank you. I first purchased this jacket over two years ago, but had to return it as it was too large. Then it came up in a size smaller in a sale so I purchased it again and I’m very now happy with my purchase, which not only fits better, but was far cheaper too. As always, BT’s presentation was excellent and the delivery was well advised to me at every stage & arrived on time. Sadly, the cove rack waistcoat is no longer available, but I will certainly not let that deter me from being a returning customer. Thank you. Great company to deal with, everything was very professional, my purchase is great and a fab fit. We will not be getting any more stock of this jacket.